OXNARD — Two neighborhood groups co-hosted a community meeting Jan. 16 to discuss proposed plans to redevelop Fisherman’s Wharf at Channel Islands Harbor. The waterside façade of the county-owned harbor could undergo a major rebranding and redevelopment if plans are realized. When those plans are realized and how boaters would be impacted, however, is not yet clear. Ventura County’s Board of Supervisors approved the redevelopment of Fisherman’s Wharf in November 2015. The approval included an option agreement with Channel Islands Harbor Properties to pursue a mixed-use project at Fisherman’s Wharf and, according to harbor officials, bring about 25,000 square feet of new commercial and retail space, 375 updated apartment units, a waterfront promenade and a public park. County officials announced a series of public meetings to present plans would begin in January. Nearly 100 people reportedly attended a community meeting held Jan. 16 at Hollywood Beach School in Oxnard. Tom Tellefsen, one of the proposed project’s developers, presented preliminary plans to attendees. Efforts would be made to retain the Cape Cod-style architecture at Fisherman’s Wharf, either by renovating current structures or completely tearing down and erecting new buildings to resemble the East Coast design style. A news report stated Tellefsen and his team could be building about 37,000 square feet of new commercial and retail space and updating closer to 400 apartment units. Tellefsen reportedly must obtain all funding, permits and other approvals within five years for the project to move forward. The ground lease for the renovated Fisherman’s Wharf project would run for 65 years assuming Tellefsen and his team is able to begin construction within the five-year window. Fisherman’s Wharf and the Channel Island Harbor is located where Victoria Avenue meets Channel Islands Boulevard and adjacent to Naval Base Ventura County. 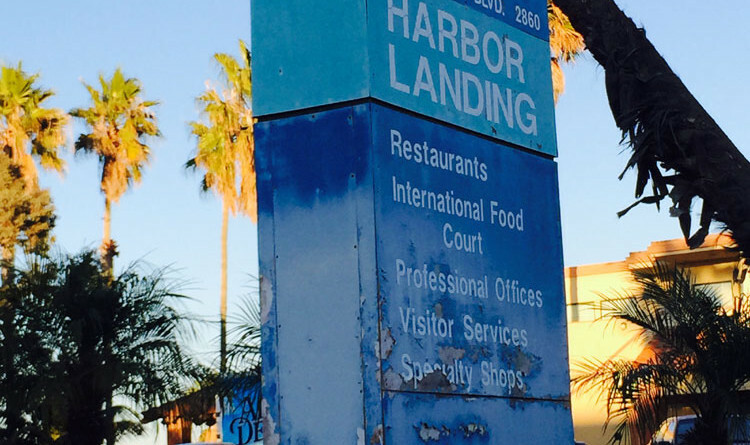 Ventura County staff told the Board of Supervisors in November 2015 a renovated Fisherman’s Wharf and harbor area could make a portion of Oxnard’s waterfront more attractive and vibrant. Several public and community meetings are scheduled to continue fleshing out plans; the California Coastal Commission, city of Oxnard and other agencies also need to approve final plans. Channel Islands Harbor and Fisherman’s Wharf has been the subject of renovation for years. At least three investors in the past decade have expressed interest in working with Ventura County and Oxnard officials to upgrade Fisherman’s Wharf and the harbor area, as previously reported in The Log. Such plans never materialized. Ventura County will receive up to $185,000 for the five-year option. The recent community meeting was co-hosted by Channel Islands Community Group and Oxnard Shores Neighborhood Council.